07. 10. 2018 12:46 22 (8 - Tänak Ott / Järveoja Martin): I hope the spectators are enjoying the stage. 07. 10. 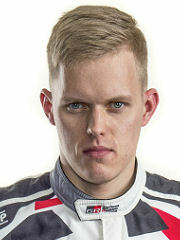 2018 12:41 21 (8 - Tänak Ott / Järveoja Martin): I was full throttle. 07. 10. 2018 12:34 20 (8 - Tänak Ott / Järveoja Martin): It is very hard. I want none of my opponents to feel how I felt yesterday, it was the worst I've ever felt. 07. 10. 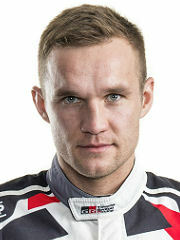 2018 12:26 19 (8 - Tänak Ott / Järveoja Martin): All the same as yesterday, I'm feeling ok. The car is ok today. 06. 10. 2018 17:34 16 (8 - Tänak Ott / Järveoja Martin): Tommi Mäkinen: They don’t know exactly what happened. Sump guard is broken and also radiator but we don’t know yet. I think he first lost sump guard and then broke the radiator. Water pressure is gone. It was such a good chance to go well and he was so good through all the stages. It is a big disappointment. 06. 10. 2018 16:27 15 (8 - Tänak Ott / Järveoja Martin): A lot drier than I was expecting, we had no information like this so a big surprise. We need to manage the rest of the loop. 06. 10. 2018 13:47 14 (8 - Tänak Ott / Järveoja Martin): I have my job to do, and the other guys have their job to do. The afternoon is going to be hard, especially if these roads get more polished - it is going to be as slippy as hell. 06. 10. 2018 13:20 13 (8 - Tänak Ott / Järveoja Martin): Yeah, it's been ok. I don't know why, but lacking a bit of power today but it's all consistent and the chassis is working well. 06. 10. 2018 13:06 11 (8 - Tänak Ott / Järveoja Martin): Hard to say, it feels so difficult for the engine. It feels tough but ok, very clean run. 06. 10. 2018 13:01 10 (8 - Tänak Ott / Järveoja Martin): It is a long day, the road is polishing a lot - as you can see the times are slowing a lot. But I had a pretty good run, so I'm happy with that. 05. 10. 2018 17:57 9 (8 - Tänak Ott / Järveoja Martin): Generally good this afternoon, just this one was tough. The previous two stages, the conditions were more consistent. 05. 10. 2018 17:01 8 (8 - Tänak Ott / Järveoja Martin): Feeling is ok, but got damage to the front-left wheel. It was quite a rough stage. 05. 10. 2018 15:59 7 (8 - Tänak Ott / Järveoja Martin): The road has a lot more grip than this morning so let's see how it develops. I think the guys on the mediums will be quick as well. 05. 10. 2018 12:06 5 (8 - Tänak Ott / Järveoja Martin): It's tricky, there is no visibility on this one. 05. 10. 2018 12:01 4 (8 - Tänak Ott / Järveoja Martin): It was hard. So many grip changes and loose mud. When it is consistent it is nice. 05. 10. 2018 11:55 3 (8 - Tänak Ott / Järveoja Martin): I can say the feeling was not great but I guess it is because the conditions are really tricky - they are changing all the time. I want to have better feeling. 05. 10. 2018 11:49 2 (8 - Tänak Ott / Järveoja Martin): Clean run, good run. Road changing a lot, it is slippery like hell - maybe even more so than yesterday. At the moment I'm on soft tyres but I can put some mixed on.